A loan of $225 helped to buy feeds and other supplies to raise her pigs. Ma. Jejie is 32 years old and has four children. Ma. Jejie is married and has four children who are in school. Ma. Jejie is in the agricultural business, pig fattening in the Philippines. Ma. 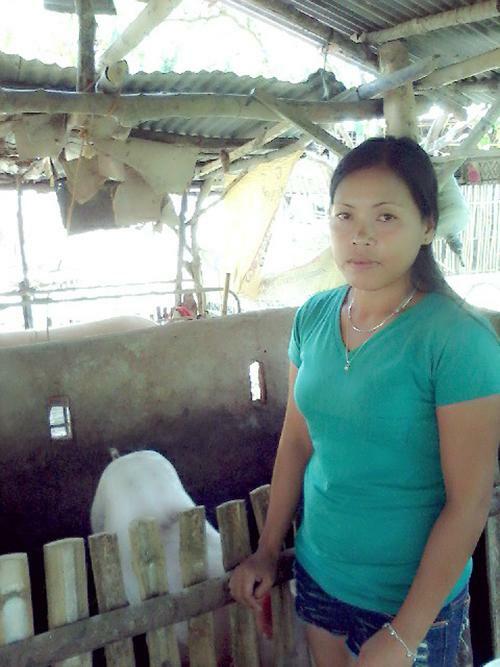 Jejie requested a PHP 10,000 loan through NWTF to buy feeds and other supplies to raise her pigs. Ma. Jejie has been in pig fattening for two years now, and has borrowed three times in the past from NWTF to sustain it. In the future, Ma. Jejie would like to save enough money so she can afford to send her children to college.